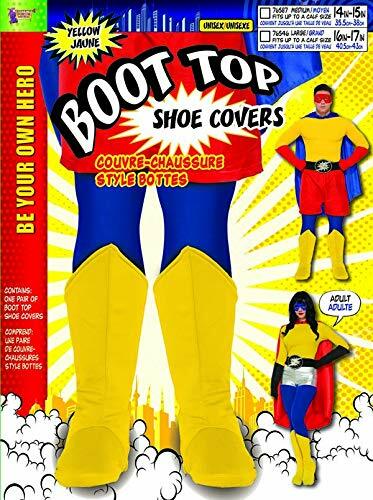 Forum Adult Yellow Super Hero Boot Tops Fits Up to Calks Size 14"-15"
Be your own hero with Forum unisex hero costume components! 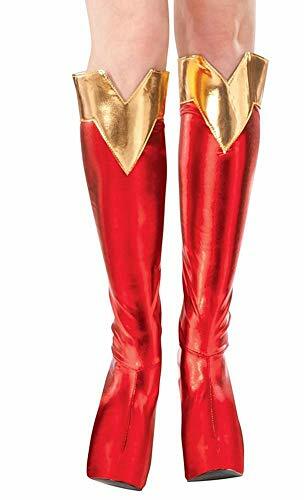 complete your hero look with these costume boot-tops. 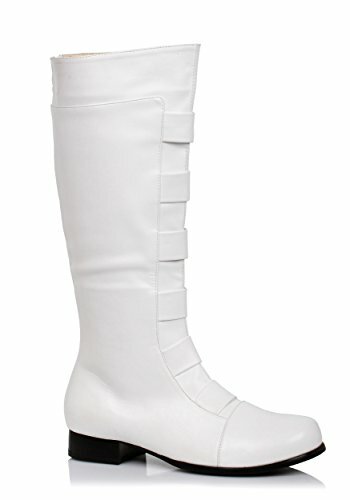 Place these boot-tops over any pair of shoes to get the look of mid-calf hero boots. Pair with other hero costume accessories Forum offers including capes, muscle chest, hero pants and belts. Look to Forum novelties for all your Halloween, luau, Easter, mardi gras, and St. Patrick's day supplies. 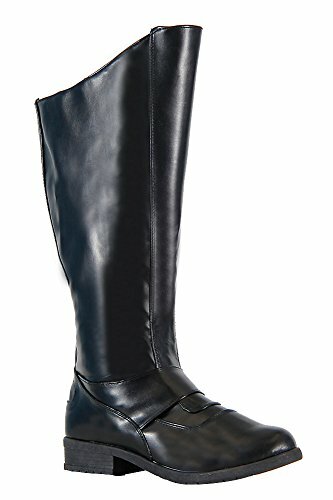 Change into your superhero costume this year and make sure you're prepared for the spotlight with the Super Hero (Black) Adult Boots. This stylish footwear is sure to be great fit for your superhero costume this Halloween. 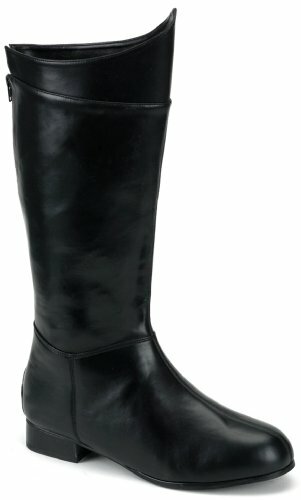 The Boots are black and feature a pointed top, just like the ones that Superman wears. Leap off the page and impress your friends and family with a superhero outfit that's ready to save the day. 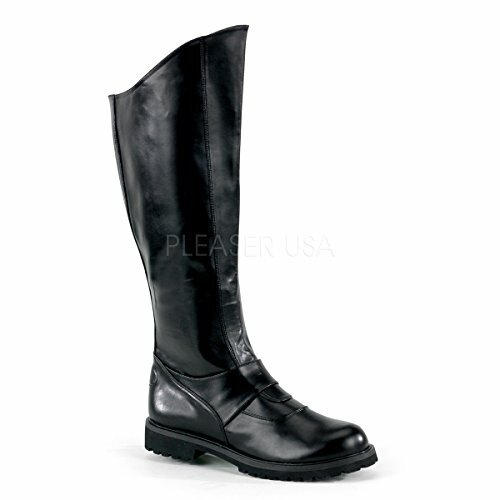 Funtasma by Pleaser USA, A Specialized Halloween Shoe Line! 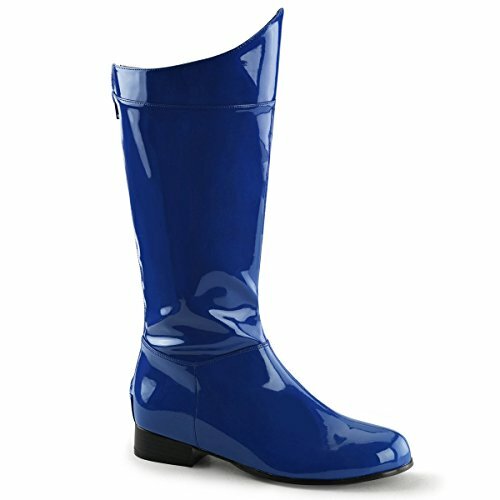 1 inch heel, men's pull-on, super hero boot in blue.